'Regarding the matter of Monsignor Ricca, I did what Canon Law required and did the required investigation. And from the investigation, we did not find anything corresponding to the accusations against him. We found none of that. That is the answer. But I would like to add one more thing to this: I see that so many times in the Church, apart from this case and also in this case, one looks for the “sins of youth,” for example, is it not thus?, And then these things are published. These things are not crimes. Like many Catholics in this Diocese I am still perplexed and experiencing a wide range of emotions, felt by, I am sure, laity and priests alike. Poor priests, who had to read that statement this weekend. 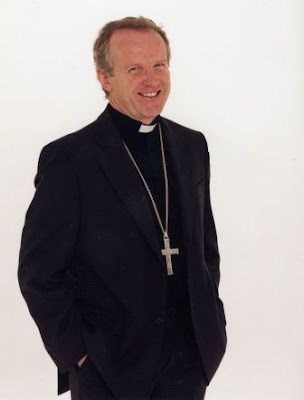 Let's pray for Kieran Conry, for the family and lives affected, for a holy and faithful Bishop for the Diocese of Arundel and Brighton and for the flock he leaves behind. My own sins and crimes trail before me, as well readers know, so who am I, indeed, to judge? 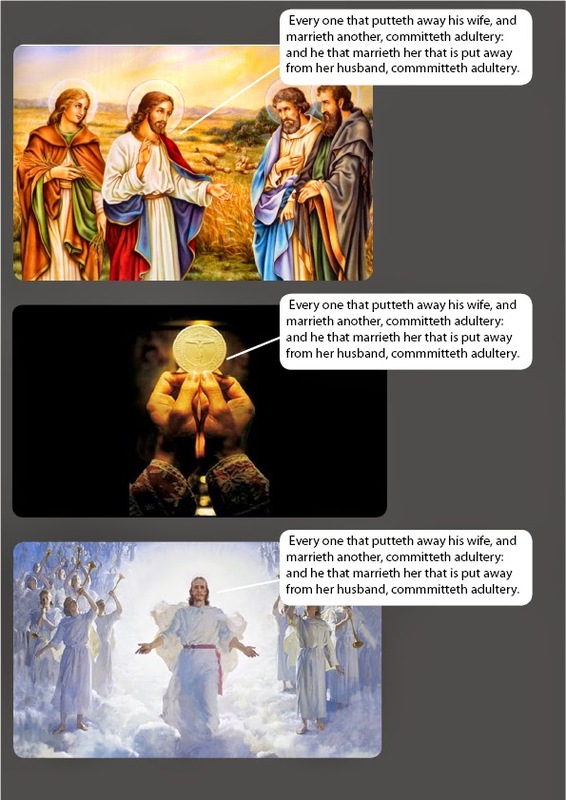 the faith of its laity. I must confess that I am fascinated by Pope Francis's recent attack on the 'peacocks' and the 'soap bubbles' of the Church. Are we to assume that His Holiness muses on these themes of the 'true Christian' and the 'false Christian' on a daily or weekly basis and brings the fruits of his meditation to his homilies or that His Holiness has been keeping these similes in store during his ecclesiastical career in order to bring them out like a bunch of fragrant roses now that he is Supreme Pontiff? It would appear that in his insults, Pope Francis is happy to bring out from his treasure house those insults that are 'new' and those that are 'old'. It's been really quite a long time since I scourd a papal homily for my 'Pope Francis Little Book of Insults', but today's homily from His Holiness is a good resource on how we should not live. 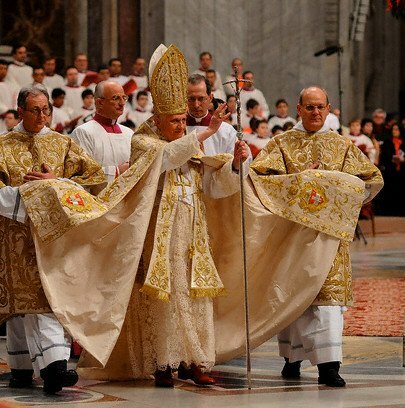 It would be uncharitable to look for hidden liturgical preference sub-texts in the Holy Father's homily today, concerning those who 'dress like princes', in 'luxurious outfits', who 'strut around like peacocks'. Who is he talking about? I enjoyed Fr Hunwicke's piece today on Cardinal Burke. I also enjoyed this really rather beautiful report on him. I hope it is true. Question: Why is the Past a Threat to the Present? Answer:Because it is the future. 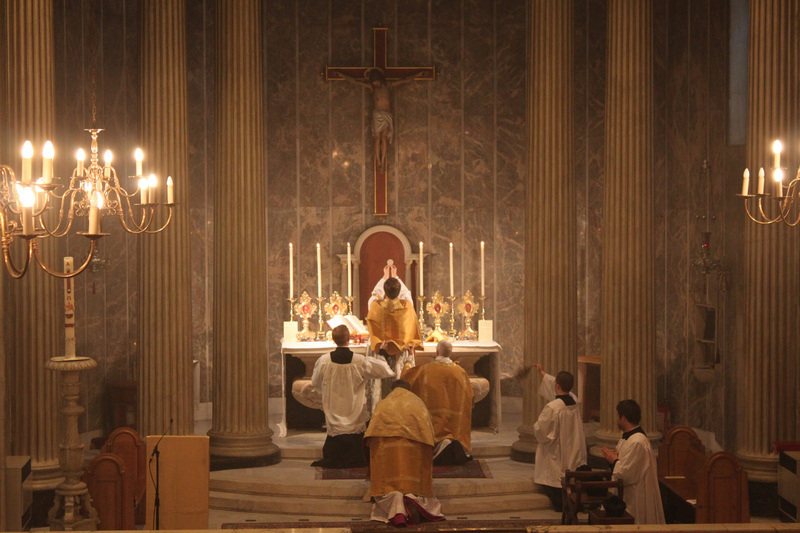 The sudden, powerful, self-propelling movement within the Church to limit, to disparage, to counteract, curtail or even stamp out, in places, or in parts of the Church, the Traditional Latin Mass is laced with fear not that the past is a threat to the present, but that it is what informs the future. The present can be so easily altered, the past can be so easily brushed aside, or erased, by those who wish to erase it, but when the memory and tradition of the past enters afresh once more into the present - and is suppressed, or feared, we can be sure that what is at stake is the future. Annulments 'Self-Checkouts' in Supermarkets Idea Floated by Kasper, Claims Criticism is an "Attack on Pope Francis"
"Now that you have paid for all your goods, we would like to offer you a range of other products available at our store. Press 4 for Marriage Annulments. You have chosen 4, marriage annulments. Press 1 if this is your first marriage..."
31 January 1540. The Commissioners arrived at Pershore, after nearly 900 years the days of the monastery were over. Thanks to The Eponymous Flower for alerting us to the closure of another Franciscan Friary belonging to the Order of the Immaculate. I hear it is the 500 years anniversary of the Reformation in 2017. Strange and mysterious it is, that the new wave of persecution should be launched at the personal request or oversight of the Pope. Nice church though...You can read about its rich Catholic heritage here. It wasn't white smoke at all. It was the escape valve for the Vatican crack pipe. I guess that's what happens when you invite Latin Americans to a conclave. All joking aside, I agree with Rorate that, going by Cardinal Kasper's own words, the Vatican may as well cancel the Synod because it is starting to look rather like its going to be a rather well-rehearsed, pre-meditated stitch-up. The next time you see smoke coming out of the Vatican, that'll probably be from the glowing embers of the new book by senior Hierarchy figures opposing any change to the Teaching on Marriage and Holy Communion. Let's hope they stick to books, not the 'dissidents' themselves. I guess by that time, though, there won't be any of them in Rome. A reader as alerted me to this, a letter from one Fr Steven Fisher to Fr John Zuhlsdorf of WDTPRS. This is not the same Fr Steven Fisher is it? With Cardinal Burke the latest name hitting headlines in the purge of the Roman Curia, another who just happened to be a supporter of Pope Benedict XVI and his liturgical vision, can we assume that 'unity in diversity' does not mean what it actually means, but something else quite restrictive and rather authoritarian? The twenty marrying couples at the mass nuptial Mass celebrated by the Pope. A nice little EWTN piece on the dreaded hand-holding Pater Noster can be found here. I had a rather nasty comment from a person who claims to be a priest with regard to my forthcoming marriage. It is a shame, really, that he would say what he said as a comment rather than as an email. I believe he has commented here before, never in a manner which is supportive but nearly constantly critical. I guess that this blog makes him feel a bit uncomfortable. I found the image and quote to the left on Google and thought it might do this individual some good to read it once more. There is quite a lot of depth in Pope Francis's now famous quote. For a gay man, what does 'searching for the Lord' mean? Where could it lead him to in life? What is 'good will'? What avenues could searching for the Lord and 'good will' lead to? There is a very good and thought provoking homily which was recorded on St John the Baptist and Marriage on New Liturgical Movement. It is very interesting that St John the Baptist does not die explicitly for being a Christian, nor for proclaiming Christ's Divinity, but for upholding and defending Marriage. In late September I will be starting a teaching English as a foreign language course in Brighton. I am told it is a 'door opener'. I must say though, that I am not much of a traveller. I've browsed some jobs online with regard to TEFL and it appears that while there is stiff competition for teaching roles in the UK, TEFL teachers are very much required in other parts of the World. 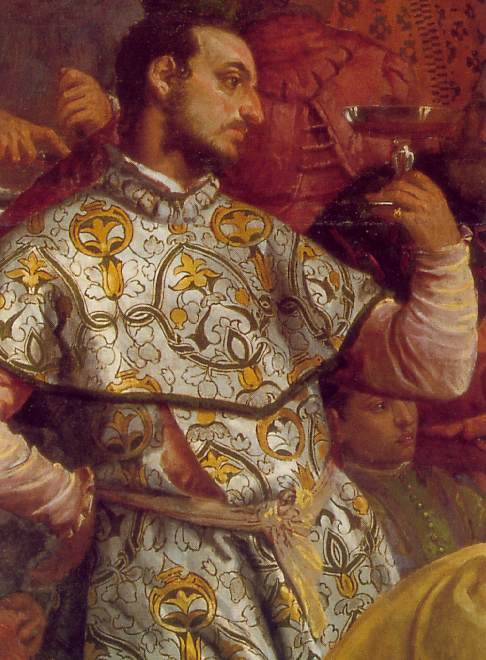 It is overlooked by scholars that there is a chance Our Lord made some of his fiercest enemies at the Wedding Feast at Cana. "We have to stop this man. He has the potential to put us out of business forever."